Long ago I asked my grandfather to tell me where our name came from. He carefully explained how our Irish ancestors came to the United States many years before, trying to escape religious persecution. He was proud of his Irish name and his Irish heritage. I'll never forget hearing him describe his dream to someday see the country where his ancestors were born. Sadly, he was unable to fulfill his Irish heritage travel goal before his death nearly 10 years ago. Since his death, I've often thought of his unfulfilled travel dreams. That missed opportunity, combined with a thirst for knowledge about my own Irish heritage, stoked a fire to step foot on the Emerald Isle myself. 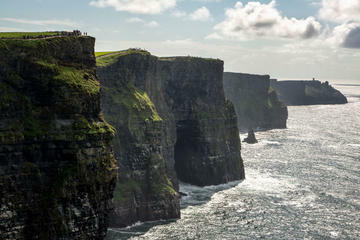 Here is my Irish heritage travel experience. We arrived in Dublin the day before Easter Sunday. It just so happened that 2016 is the year of the 100th anniversary of the Easter Rising, a monumental day in Irish history. I wasn't prepared for the onslaught of Irish patriotism we witnessed. Everywhere you looked you saw and heard patriotic images and songs all in celebration of the Centennial. The parades, commercials, the television series, the music, and the radio endorsements all pointed one direction: a proud Irish nation. We began by exploring some of the sites known for their role in the Easter Rising, as well as some a little more off the beaten path. 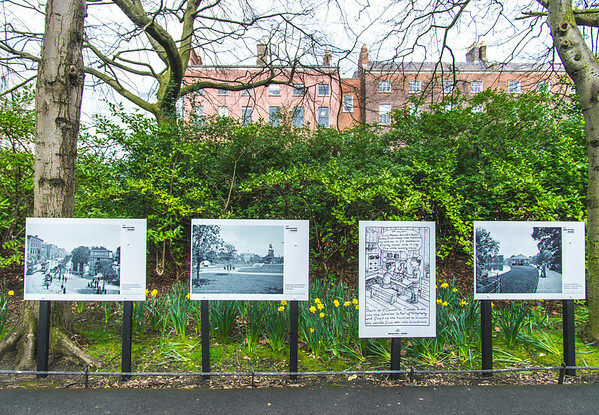 St Stephens Green played host to several commemorative plaques explaining the role of the Green in the uprising. You can't help but feel connected to the past while standing on the land which once played host to patriotic spirits. 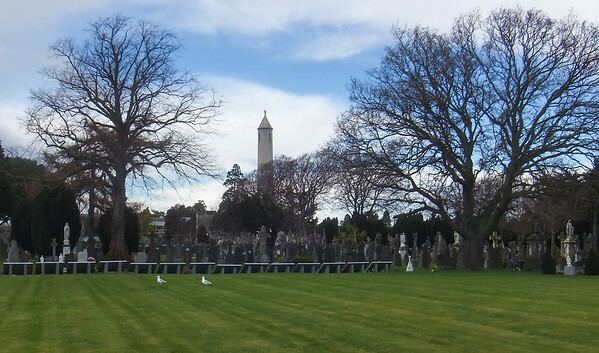 Next, we explored Glasnevin Cemetery, the first Catholic cemetery in all of Dublin, established in 1832. The cemetery is home to the remains of many of the founding fathers of the Irish Republic, including Daniel O'Connell. Large crowds had gathered at Glasnevin participated in guided tours and paid quiet homage to their forefathers. Throughout the week we encountered gatherings of proud Irish people. The crowds were always friendly. Everyone wanted to participate in this momentous occasion. Asking locals about their perspective on the uprising and the subsequent liberty brought forth mixed emotions and thoughtful reactions. Don't Miss My other Ireland Travel Guides! While many responded with pride and adulation, everyone spoke with respect for the difficulty the nation faced after separation from the UK. No matter where they stood in terms of the politics, everyone I spoke with recalled the conflicts in Ireland as difficult and divisive. The peace that resulted from the Good Friday Agreement in 1998 changed the public policy, giving permission once again for public display of national pride. The first of which came in 2006 when the nation celebrated the 90th anniversary of the Rising with the first military parades in decades. During this trip, I learned more than I expected about my own heritage and the Irish culture. I went to Dublin prepared, or at least I thought so. For months leading up to our trip, I'd researched my Irish genealogy extensively through oral history and online research via ancestry.com. I was hoping to find some ancestral link to Dublin. I'd hit a roadblock in my own online research, so I knew if I wanted more information about any link to Dublin I'd have to visit the National Library's Irish Genealogy Advisory Service. The Library offers free consultation services with staff and unlimited access to online search tools. After spending a few hours in the National Library's archives, I learned, sadly, that none of my Irish ancestors were from Dublin, as they all hailed from Northern Irish counties. Moreover, it appears that all my Irish ancestors had left Northern Ireland prior to the Great Famine of the 1840s, long before the uprising in 1916. Although I had some idea of my own Irish heritage I was still surprised to find no links to Dublin or the Republic. This definitely colored my perspective for the rest of the trip. I'd hoped to leave the library with a greater sense of connection to the city of Dublin and the country of Ireland. Instead I left with more questions about my own personal Irish heritage. 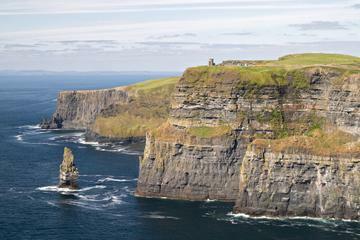 While Ireland may be one of my ancestral homes it still feels elusive, just out of reach. And after listening to people's stories of separation I wondered how I might feel about the separation and the strife. Part of me can't believe that any Irishman could be anything but gentle. Honestly, the Irish people were some of the most kind and friendly I've ever encountered on my travels. Everyone welcomed me, made me feel right at home. I was well fed, given good drink and even treated to a song or two. Having not found as much information as I'd have liked, it's safe to say I walked away from my Irish heritage travels feeling a little unfulfilled. 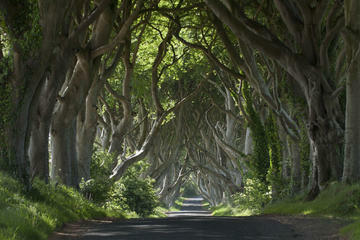 I'd still like to know more about my personal Irish heritage, so my new goal is to visit Northern Ireland. I hope to see Belfast and other Northern Ireland cities and counties where my research has now pointed. I wonder what that will be like? But before I do that I'll be doing a little more targeted research, thanks to a birthday gift from my thoughtful beau, The Professor. I recently submitted a DNA sample to Ancestry.com for a targeting analysis of my own personal heritage including my Irish ancestry. I can't wait to find out what truths it holds. And in true blogger fashion I'll, of course, be sharing my results with y'all. Stay tuned for the results, which will take up to 6 weeks to come back. I'm sure the results will mean more heritage travel is likely in my future. Now you can start your own Irish heritage research online for FREE thanks to Irish Genealogy. Effective September 8, 2016, millions of online birth, death and marriage records were made public. Check out this article for more information. And should you find yourself in Dublin then you should consider walking the paths of the founding fathers of Ireland? 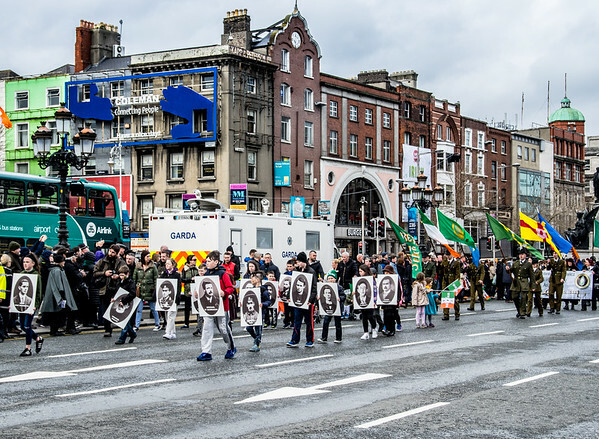 Before you go be sure to check out Visit Dublin's 1916 Rebellion Trail. Visit the General Post Office (GPO), St Stephen's Green and a host of other historic sites along the way. Like this post? 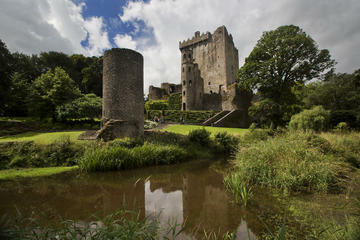 Then don't miss my tips for traveling to Ireland. And be sure to check out my other travel articles, too! Plus, be sure to . You'll get access to all my freebies, including my best travel hacks, photography tips, and more. And don't forget to connect with me on Instagram, Pinterest, and Facebook!